ANTHONY DALY HAS tonight named his side to face Galway in Pearse Stadium on Sunday. One of the county’s great young hopes, Shane Stapleton, a St Patrick’s clubmate of Liam Rushe makes his first league start as does Danny Sutcliffe of Naomh Jude. Rushe starts after coming through a UCD game this week. Daly this week spoke about the ‘bad dose’ that pneumonia-hit David O’Callaghan suffered recently and though he is back in training, he sits this one out. Ross O’Carroll has a broken thumb and the Dubs are still without long-term casualties Conal Keaney, Tomás Brady and Stephen Hiney. Galway will be without star forward Joe Canning, of course. The Portumna man suffered a shoulder injury while on Fitzgibbon Cup duty with Limerick IT. 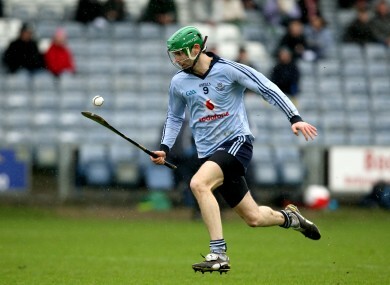 Dublin (to face Galway): G Maguire, N Corcoran, P Kelly, R Trainor, M Carton, J Boland, S Durkin, J Mc Caffrey (capttain), D Sutcliffe, C McCormack, R O’Dwyer, S Stapleton, D Treacy, L Rushe, P Ryan. Email “Daly looks to young faces for Galway trip”. Feedback on “Daly looks to young faces for Galway trip”.